In Greenup County, Kentucky, Melinda Spears and her two teenage daughters have never had an opportunity to connect to affordable high-speed Internet. However, thanks to grassroots efforts from public officials, private industry, local residents, and ConnectKentucky, Spears, her daughters, and her neighborhood are now benefiting from affordable high-speed Internet. Based on a suggestion from State Rep. Tanya Pullin (D-District 98), Spears contacted ConnectKentucky, who suggested that Spears gather a group of neighbors interested in broadband service. She did just that and, in May, Foundation Telecommunications, Inc. (FTI) started providing Spears and her neighbors with high-speed service. For Spears and her neighbors, the new broadband service is working beautifully and they couldn’t be more excited. About ConnectKentucky: ConnectKentucky is leading the way into a new economy for Kentuckians. As an independent technology-based economic development organization, ConnectKentucky works to ensure that Kentucky remains the place of choice to live, work, and raise a family. ConnectKentucky is an alliance of technology-minded businesses, government entities, and universities working together to accelerate technology in the Commonwealth. http://www.connectkentucky.org. Disasters can strike in countless ways, but despite the damage to your network – FTI has a disaster recovery solution designed to restore communications between your critical locations in seconds — using satellite technology. Virtually every company today depends on Internet connectivity to conduct its normal operations. But as vital as the Internet is, few businesses consider the risks of only having a single landline-based Internet service provider (ISP). Unfortunately, many businesses have recently learned about these risks the hard way. Simple water main repairs or routine road construction may have accidentally damaged or disconnected a landline. An infrastructure failure or natural disaster may have caused an unforeseen interruption in service. In any case, these businesses experienced a drop in productivity—immediately. Communication with customers was disrupted. Leads and inquiries, lost. The ability to fill orders, gone. It’s not enough to have just one Internet connection—you need a backup. And you need a backup that’s completely independent of the landline infrastructure, and not vulnerable to the same risks. That’s why you need Foundation Telecommunications, Inc., the best and most reliable backup Internet solution for business continuity. Unlike other broadband satellite providers, everything we offer is business-grade. Which means we have the highest quality VSAT equipment, reliable teleports on the ground and transponders on the most sought-after satellites in the sky. Plus, we perform failover testing several times per year and monitor your satellite connection 24/7 year-round to ensure proper functionality. FTI introduces its Mobile Satellite Uplink Trailer: SatLink™. The C or Ku band SatLink™ offers a wide variety of optional features including Two-way SCPC or TDMA Communications, High Speed Data Link, Moving Map with USGS Topographic Base linked with GPS and Satmaster Pro Software, pole mounted observation camera system and power systems of battery (up to 72 hours), propane generator, and commercial power cabling. The addition of the generator option provides constant utilization of the SatLink™ in areas that may not have access to commercial power making the SatLink™ extremely versatile in disaster areas and rural locations. Suggested applications for the SatLink™ include; Emergency Disaster Relief, Rural Economic Development, Private State LAN/WAN Communications, Rural Internet Communications, State Highway Department, Department of Education, State Parks and Recreation, Interstate and Intrastate Secured Communications. The flexibility of SatLink™ allows the applications can change as quickly as the technology. The design goal of the SatLink™ was to provide a stable universal platform with stable versatile power sub-systems capable of supporting any customer equipment and satellite option. As designed, customers may purchase the basic SatLink™ and add their own specialized electronics in the standard rack space provided. Upon delivery to FTI, each SatLink™ is individually designed to meet the exact specifications of each customer order. To the basic SatLink™, clients can choose from a wide variety of options including: antenna size, AC power sub-system size, transmitter, lighting options, battery upgrades, generator options, cellular phone communications package, air-conditioner, heaters, wireless LAN and/or Free Space Optics and custom installation kits. Rack space can be reserved for customer installed components, as well. Whether the need is satellite broadcast, disaster response communications, or military communications, FTI’s flyaway VSAT system provides secure high-speed data communications for Internet/VPN connectivity, live videoconferencing, surveillance or reconnaissance. * Quick deploy government or military communications. * Deployable emergency response communications. * Temporary communications from industrial sites (eg: mining, construction, energy). * Distance learning and Telemedicine applications. After an outage occurs, PRI in the Sky™ or 9-1-1 in the Sky™ enables your existing phone system to switch over to a satellite connection, instantly restoring normal functionality and turning every connected station into a satellite phone. PRI in the Sky™ is compatible with Avaya, Nortel, Lucent, Cisco, NEC, 3COM, Alcatel, Mitel and any other system using PRI/ISDN for carrier connections. A single satellite dish can support up to 92 concurrent calls in multiple formats (PRI, analog, E & M trunks) and simultaneously provide backup internet service. PRI in the Sky is a new FTI service that in combination with the Web Call Control can significantly increase Voice continuity in any organization. Used in conjunction with the Web Call Controller, FTI with the PRI option, can bring 24 PRI calls through a broadband Satellite link directly through your PBX. So in any type of outage caused by power, data loss, carrier problems, FTI can deliver 24 PRI calls directly through your phone switch. If a disaster strikes, every minute counts when your network operations go down. Planning for recovery of critical I.T. assets can make the difference between business interruption and strategic recuperation. Through experience and access to the latest satellite technology, FTI aids enterprises large and small to implement primary or network backup communications to help mitigate potential business disruptions and restore to normal operations quickly. FTI’s VSAT satellite solutions meet the needs of hospitals, large corporations, banks, and financial institutions worldwide. Virtually every company depends on Internet connectivity to conduct its normal operations. But only few businesses consider the risks of only having a single land-line based Internet service provider (ISP). Unfortunately, many businesses have learned about these risks the hard way. Simple water main repairs or routine road construction may have accidentally damaged or disconnected a land-line. An infrastructure failure or natural disaster may have caused an unforeseen interruption in service. In any case, these businesses experienced a drop in productivity—immediately. Even a few minutes of lost time during peak hours can sometimes translate into hundreds of thousands of dollars of lost business and productivity.It’s not enough to have just one Internet connection—you need a backup. And you need a backup that’s completely independent of the land-line infrastructure, and not vulnerable to the same risks. That’s where back-up satellite Internet solutions scores over traditional terrestrial Internet. While this may be a standard market for satellite communication services, unlike other broadband satellite providers, everything we offer is business-grade. Which means we provide the highest quality VSAT equipment. One primary failure incident averted pays for the service several times over. Available to customers for pennies a day, FTI’s NPM enables customers to quickly detect, diagnose, and resolve network outages and performance issues. It offers at-a-glance insight into networks, ensuring access to critical information needed to keep the network in tip-top shape; and FTI’s NPM is the easiest product of its kind to use and maintain, meaning more time actually managing networks. Hover over a network object to see additional details about the object including status, IP address, machine type, and percent loss. FTI’s Network Performance Monitor (NPM) provides comprehensive performance, fault management and network availability tools to ensure that the network is always running at peak performance. Via a cutting-edge, customizable web interface, FTI’s NPM provides a unified view into the performance of thousands of nodes and interfaces on the customer’s network, all from a single web page where the operator can drill into any element to see exactly what’s happening. FTI’s NPM’s web interface provides real-time views of network performance and availability statistics, as well as detailed monitoring and analysis of data from routers, switches, servers and any other SNMP-enabled devices. 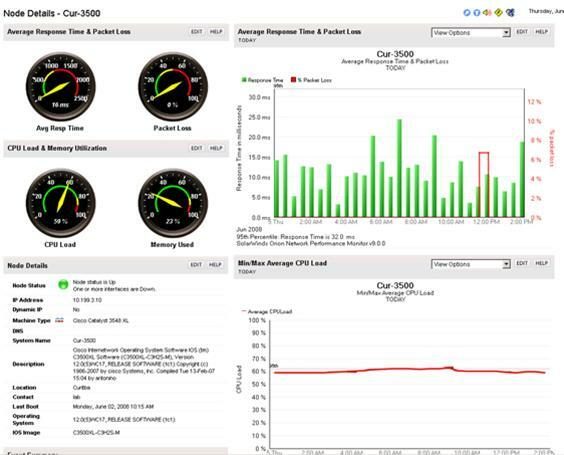 This performance monitoring data alerts for poor network conditions like slow traffic, loss of packets, or impaired devices. The result is a comprehensive view of how the network is performing, providing the information needed to quickly isolate, diagnose, and repair problems before end users realize that a network issue has developed. With FTI’s NPM, customers can also automatically monitor and set alerts on disk space, CPU load and memory utilization for network devices. With out-of-the-box support for many vendors and operating systems, including Cisco®, Foundry®, Extreme Networks®, Motorola®, ARRIS®, Linux, Solaris®, HP-UX®, AIX®, Windows® 2000, Windows 2003, and Windows XP devices, FTI’s NPM ensures that customers can easily collect and alert on conditions that could potentially cause a network outage or performance degradation. Sept. 23, 2008—West Virginia and Kentucky mines are using or testing wireless systems that employ telecommunications technology in conjunction with active RFID tags and readers to locate miners in underground tunnels. Although the mines in both states use Axcess International RFID Dot tags, they utilize different wireless platforms to relay RFID and telecommunications data. An unnamed West Virginia mine, for instance, is using an RFID-based tracking system known as MineAx, provided by Tunnel Radio of America, in conjunction with Tunnel Radios’ UltraComm wireless networking technology. Several other West Virginia mining companies will be installing the system later this year as well. The MineAx system employs Axcess’ active RFID tags and wireless readers to ensure real-time data regarding its miners’ locations as they move around tunnels underground. The system will help West Virginia mines comply with the Mine Improvement and New Emergency Response Act of 2006, which requires improved communications and emergency plans in the event of an underground mine accident. With MineAx, when miners enter a shaft, they first pass through an Axcess reader portal. The portal reads the miners’ Axcess Micro-Wireless ID active RFID tags, which can be placed in a pocket or attached to a hard hat. The portal emits a 126 kHz signal that awakens a dormant tag, which begins transmitting a signal in the 315 to 433 MHz ultrahigh-frequency (UHF) band. Typically, the portal contains two readers, one located in front of a mine’s entrance, the other behind that entrance. The read sequence is then interpreted by Tunnel Radio software and provides data as to whether a particular miner is entering or leaving the mine. Elsewhere throughout the mine, additional RFID readers are deployed. At the West Virginia site, the readers transmit data to the mine company’s back-end system via the UltraComm wireless network, which includes a leaky feeder—a cable deployed throughout the mine that has “gaps” enabling it to function as a radio antenna and thereby emit and receive RF signals along its entire length. The mine utilizes the same UltraComm wireless network to support its two-way telecommunication system, also provided by Tunnel Radio. According to Mark Rose, Tunnel Radio’s president and CEO, the two-way wireless communication system enables the mining company to contact underground miners via a Motorola radio each worker carries on a belt. On the back-end system, Tunnel Radio software interprets that data and displays the employees’ locations on a mine map generated from a computer-aided design (CAD) drawing of the mine. On that map, Rose says, a small hat icon represents each individual in the mine, color-coded according to that person’s job function or experience. By placing the cursor over a hat, a manager can read the employee’s name, as well as any other necessary data about that individual. If a miner has a problem, he can use the Motorola radio to place a call, and the manager or dispatcher can then utilize the RFID system to locate that worker on the display and communicate with him accordingly. The UltraComm-MineAx system is especially effective, Rose says, in situations in which miners lack specific information, such as which shafts are clear, or which have collapsed or contain fires. In such a case, a dispatcher can determine where the miners are located on the display and, based on information about a fire or collapse, call them and describe what they must do to reach safety. The system does not always provide real-time data, Rose says, but instead pinpoints the location of the most recent RFID transmission—that is, when the miner last came within range of an RFID reader, and which reader it was. Based on the sequence of transmissions, he explains, as well as information regarding the miner’s work assignment for that day, dispatchers can approximate that miner’s location. Tunnel Radio software also allows a user to pull up manifests listing who is in a particular tunnel at any given time, Rose says, and who has recently entered or exited. During an evacuation, for example, a manager can watch names leave the “in” manifest and appear in the “out” manifest. Rose has been at mines when accidents have occurred, he says, noting, “The first thing managers ask is, ‘Who’s in? '” At any given time, a mining company may have employees, contractors, electricians, inspectors and various other visitors within its tunnels. “If everyone is electronically tracked, you have a really good idea of who is where,” he says. Tunnel Radio is providing the MineAx Bird Dog system to existing customers using the two-way radio system, and also has some new customers for the combined solution. “We’re a one-stop shop, and people really like that,” Rose states. Some mines span as much as 80 miles, he says, and the system can transmit data throughout their length. The system has received the requisite Mine Safety and Health Administration (MSHA) and State of West Virginia approvals for operating in that state’s mines. Combining RFID with existing communication systems is a natural fit, says Allan Griebenow, Axcess’ president and CEO. Because the wireless backbone is already in place, he adds, it is logical to employ that same backbone for RFID tracking. According to Griebenow, the active RFID tag is small enough that a person can easily carry it into the mine, but has a transmission range of 150 feet to 1,000 feet in optimal conditions. UHF-based transmissions are the best in this environment, he says, because they are robust and do not interfere with any existing Wi-Fi systems. Axcess is currently working on further features for the DOT tags and readers, including panic buttons for miners in emergency conditions, as well as sensor capabilities that would transmit a person’s temperature or indicate whether that individual is moving. The state of Kentucky has also been looking into RFID tracking systems that work in tandem with communications backbones. Last week, Foundation Telecommunications Inc. (FTI) completed a pilot for the state using its own satellite communications and tracking system, combined with Axcess RFID tags and communications hardware and integration services from Architron XRF. The 30-day trial was completed on Sept. 19. In this case, the research team utilized a system of tunnels closely resembling the coal mines of Kentucky. FTI placed 12 wireless nodes every 250 feet throughout the tunnels, which are located in Missouri. Each node, provided by Architron, contained an Axcess interrogator, a telephone handset, a video camera and a computer keyboard that enabled voice, data and video communications. Testers carried Axcess RFID tags in their pockets, and the tags’ 315 to 433 MHz RF signals were picked up by the wireless nodes. In this case, the nodes could forward such data as the individual’s ID number, as well as any voice or video data, via an 802.11 wireless mesh system. When the information reached the tunnel’s surface, it was received by a satellite dish that then transmitted it to FTI’s satellite hub in Salt Lake City. From there, explains Byron del Castillo, Architron’s CEO, the data was made available on a Web server that authorized users in remote locations could then access via the Internet to gain information regarding the miners’ location in the tunnels, or real-time audio or video images of what was happening in the mine. Because the nodes were placed 250 feet apart, and since the RFID readers proved able to receive transmissions at about 125 feet, FTI had real-time visibility the entire time a miner was in the tunnels. Kentucky has approved the initial pilot’s results, and the system must now receive MSHA approval before FTI can commence marketing it to Kentucky mines. FTI first began discussing such a system with the state approximately two years ago, according to FTI’s president and CEO, George Livergood. © Copyright 2002-2009 RFID Journal LLC. Quarterly newsletter printed by FTI showcasing our latest developments and accomplishments. See what new products and services we now provide and review our projects completed throughout the year. 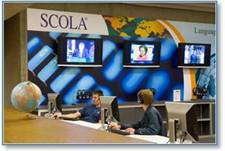 SCOLA’s eight satellite channels broadcast 24 hours a day seven days a week from 115 countries in more than 100 languages. That is over 70,000 hours of programming a year broadcast to approximately 41 million viewers. This adds another level of excellence to this premier provider of foreign language training and cultural awareness providing educational programming to Universities, Colleges, K-12 schools, cable systems, government language schools and individuals. SCOLA is the best source for Satellite provided content for current foreign language news, language study and cultural enhancement. SCOLA emphasizes the importance and effectiveness of modern information technology as a tool in overcoming barriers to global understanding and will remain at the forefront of its applications. 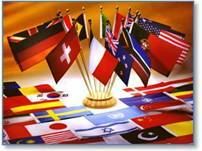 FTI is honored to be the sole provider of satellite related hardware and technical support to the SCOLA organization. Foundation Telecommunications, Inc. has been providing SCOLA uninterrupted satellite network technical and operational support for over fifteen (15) years and anticipates many more years as the network continues to grow and evolve technically. 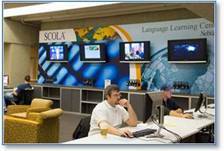 For more information about SCOLA and their broadcasts visit http://www.scola.org.